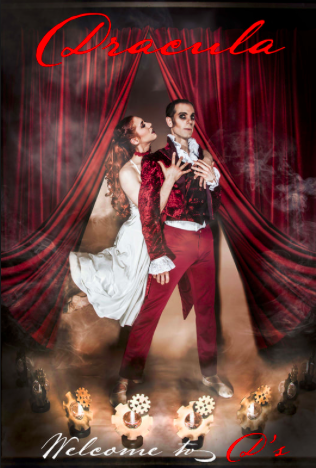 Chantry Dance Company's thrilling original 2018 ballet based on the Bram Stoker's novel. Choreographed and directed by Rae Piper and Paul Chantry, performed by Chantry Dance Company and starring Shannon Parker (Britain's Got Talent finalist). 'Dracula - Welcome to D's' toured in a number of locations throughout the UK; Guildhall Arts Centre, Grantham, Victoria Theatre, Halifax, The Swan Theatre, Worcester, Waterside Arts Centre, Manchester, Stamford Arts Centre, Stamford, The Lights, Andover, New Theatre Royal, Lincoln, The Capitol, Horsham and Greenwich Theatre, London.